If you are anything like me, you love seeing powerful women do their thing and be celebrated for their achievements — which means you're also incredibly excited about the just-released Forbes Power Women List for 2015. Ranking the most powerful women in the world, the list includes everything from entrepreneurs to celebrities and from activists to philanthropists; however, they all have one thing in common: They're changing the world. And that? Is all kinds of amazing. If you're wondering how Forbes compiles their Power Lists, they use four metrics to rank the candidates: Money, media presence, spheres of influence, and impact. They first start with finances and look at the wealth of each individual, data which comes from income references and various Forbes lists from the previous year. Those who work in the nonprofit sector are also evaluated based on their organizational budget, to make the scoring fair. In order to rank these women's media presence, Forbes tallies the total media mentions each woman received in the past 12 months, as well as her social media followers. In order to judge their influence, they analyze how many sectors of culture said woman influences; and lastly, they take a look at the impact they've made on a global level. Some amazing names topped Forbes Power Women list this year, including both newcomers and veterans: 19 women who made the list did so for the first time this year, and seven women who made the list in 2004 are still on the list in 2015. 18 of them are women in tech, which is especially notable considering the difficulty women often face in STEM fields. Here are seven names from this year's list you'll want to know; to see the you complete Power Women list (which features a whopping 100 women), make sure to head over to Forbes. Merkel, the Chancellor of Germany, makes the top of this year's list. She is certainly a woman with power and influence, as she has made the list 10 times in the past 12 years; not only that, but she's been in the top spot nine out of those 10 years. She has been serving as Chancellor since 2005 and is currently on her third term in office. 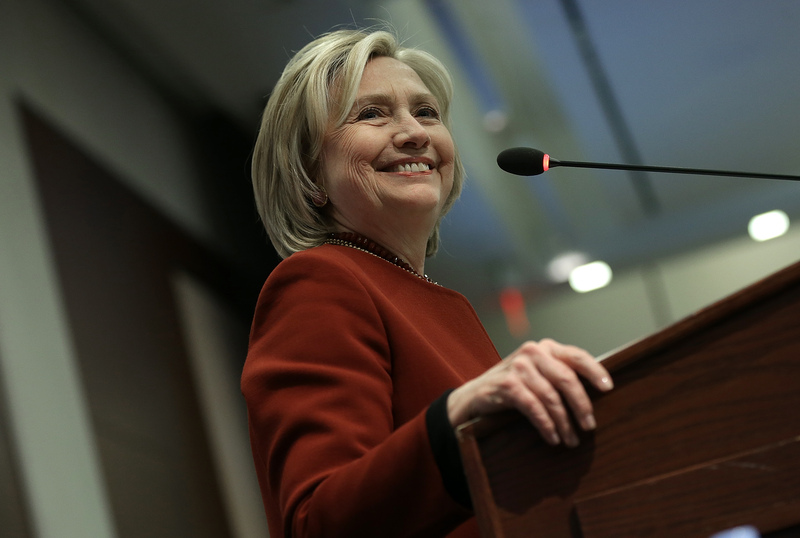 If you're ready for Hillary, you'll be delighted her hear she came in as the second most powerful woman in the world. She has notably been on the list every single year for her roles as a Secretary of State, Senator of New York, and now Presidential candidate. As she is the Cochairwoman of the Bill and Melinda Gates Foundation, Melinda Gates is a force to be reckoned with. Through her philanthropy, she has issued more than $33 billion dollars in grant money to global development around the world. Yellen is arguably the most powerful woman in finance; she made history last year as the first female to serve as Chair of the Federal Reserve. Yellen has a doctoral degree from Yale and has used her intellect to bring federal bonds back from $0 in average monthly purchases to over $85 billion in her short time serving. Talk about power! Barra is the CEO of General Motors — the first woman to serve in such a position from one of the Big Eight auto manufacturers. Proving that female leaders serve companies well, GM has become more restrained financially since she stepped in as CEO and has solid plans for the future of car making. Lagarde heads the International Monetary Fund, a powerful financial influencer and lender to 188 countries globally. She has been in this position for four years and has made sure women have been a priority during that time; she has involved the IMF in efforts to increase the labor participation of women to reduce poverty and put women in positions of equality. Another female head of state, Rouseff is the President of Brazil — but it's worth noting that many Brazilians currently want her ousted from the position due to some possible involvement in an oil bribery scandal. A woman with power, yes, but also an example of why it's important to use your influence for good and not personal gain.